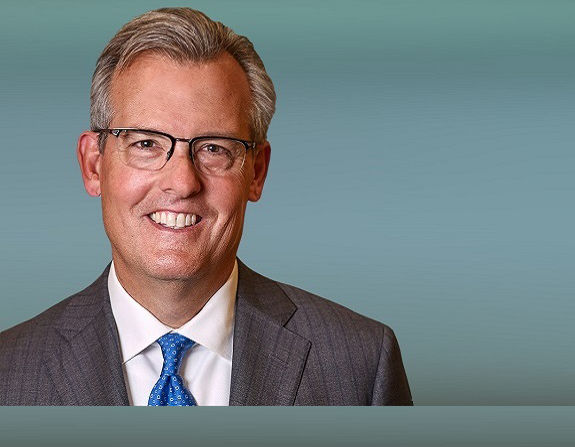 David Rowland was named interim chief executive officer of Accenture on January 11, 2019. In this role, David serves on the board of directors and leads Accenture's Global Management Committee. Prior to being named interim CEO, David served for more than five years as Accenture’s chief financial officer with responsibility for the company’s corporate controllership, treasury, tax, investor relations, financial reporting and analysis, strategic planning and analysis, and corporate development functions. David previously served on the board and as Audit Committee chair for Avanade, a joint venture of Accenture and Microsoft. Earlier in his career with the company, David held a number of finance leadership positions, including senior vice president—Finance, with responsibility for the company's Finance Operations organization, which included financial reporting and analysis, strategic planning and analysis and the global finance directors supporting the company’s operating groups and businesses. During this time, he was a member of Accenture’s Global Management Committee and chaired Accenture’s Operations Council consisting of all group operating officers and other corporate leaders. He was also finance director for Accenture's two largest operating groups, Communications & High Tech and Products. David began his career with Accenture in 1983 in the Consulting group and spent several years serving clients across a variety of industries. He has served on a number of management committees and has also played significant leadership roles in a number of company-wide initiatives. Throughout his professional career, David has served on several civic and charitable boards. He is currently Chairman of the Advisory Board for the Scheller College of Business at the Georgia Institute of Technology. He was recognized among the top CFOs in the Payments, Processors & IT Services sector by Institutional Investor from 2015 through 2019 including as Best CFO on the “2016 All-America Executive Team,” ranking No. 1 in the sector. David holds a Bachelor of Science degree in management from the Georgia Institute of Technology.